Your Next Stamp April Release! Welcome back! 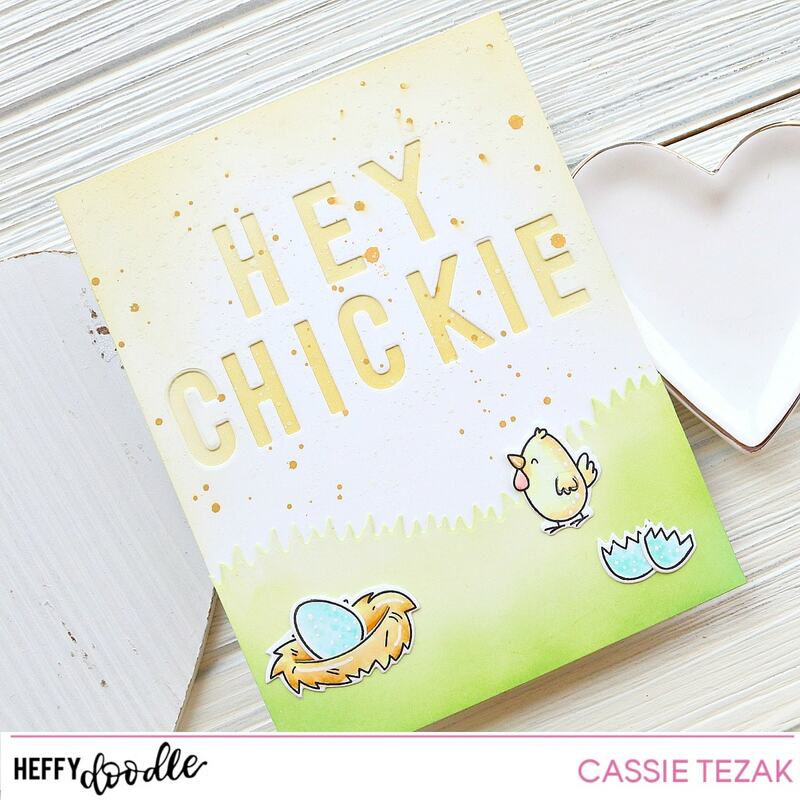 The Your Next Stamp April release is here, and it’s so sweet. We are kicking it off with a blog hop. I had so much fun making the card for today. Let’s get right to it. I made this card by die cutting the Cool Tags Five dies and creating a spot for the cute little fairy and dragonflies from the Wishing Well Fairy stamp set. I colored in some of the images from the set and arranged them around the tags. I also stamped one of the sentiments from the set on the smaller tags and popped it up with foam tape. I used more of those awesome sparkly gumdrops from the new release! I love that the purple ones actually look like gumdrops! 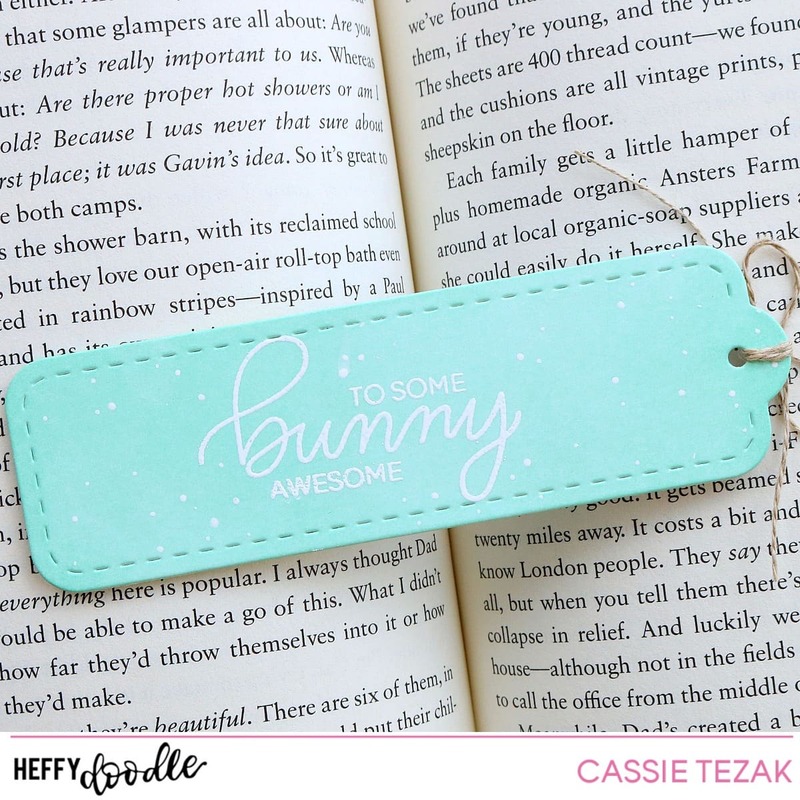 This release is so cute and you’re going to want to see it all. Be sure to keep hopping along by clicking the blue button below. Leave a comment to enter yourself to win a gift certificate to the YNS shop! Also, don’t forget to use the coupon for your orders placed through April 8th! Thanks so much for stopping by today. 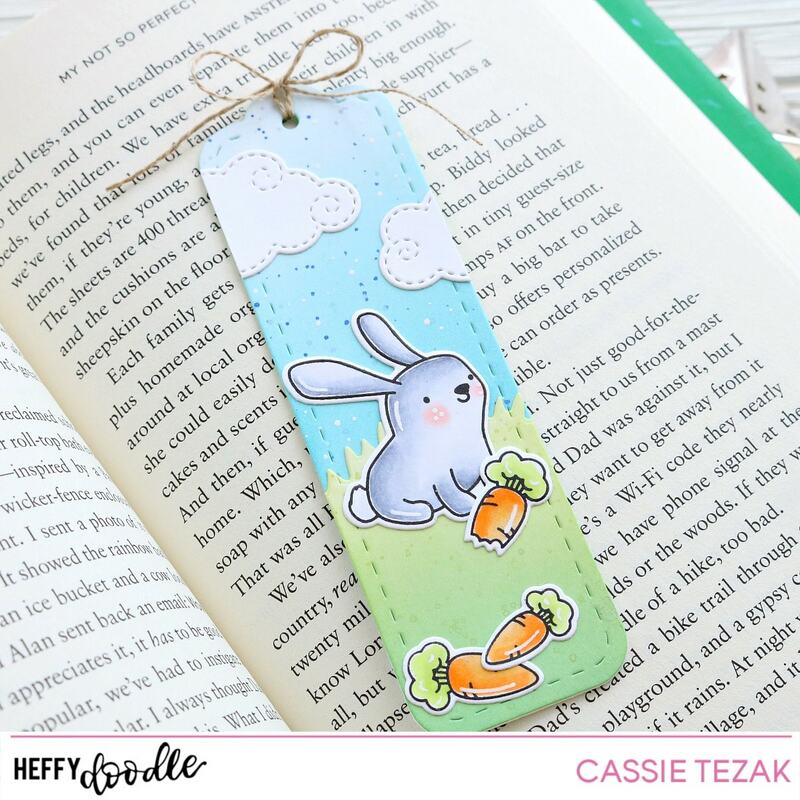 Have fun hopping along! 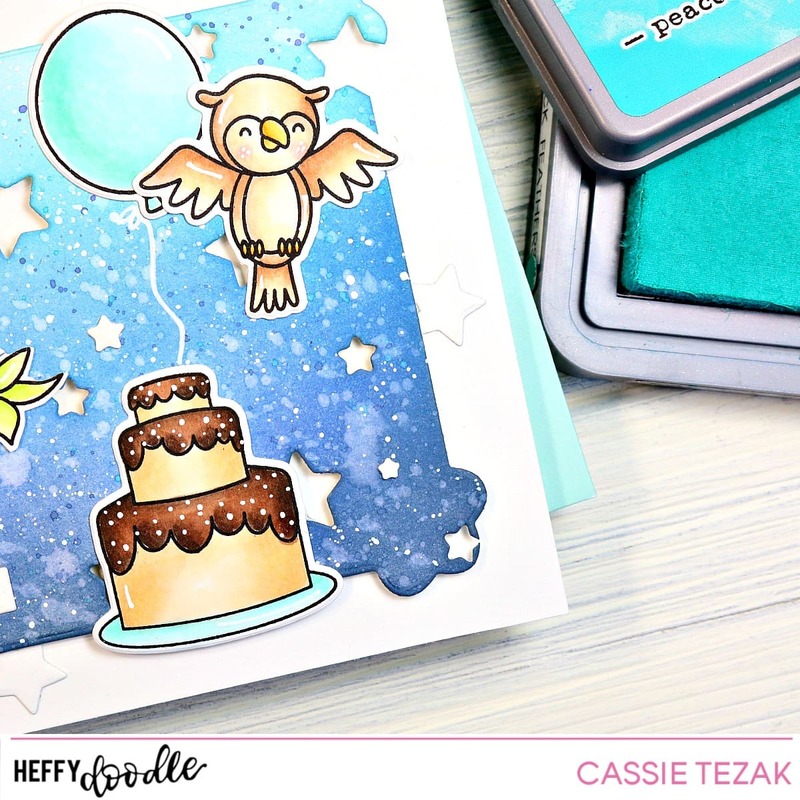 Today I’m sharing a cute birthday card highlighting the Hootiful stamp set and some awesome Heffy Doodle dies! Hello, crafty friends! It’s Cassie here, and I’m back today to share a birthday card I made for someone in my family. I wanted it to create a cute night sky with the scalloped die from the Clover Frames die set, as well as the Stargazer Backdrop die. I started by die cutting the Stargazer die first. Then I die cut the scalloped rectangle from it. By doing that die second I was able to be more precise about where the stars fell around the edge of the rectangle. Once the piece was cut out I was able to ink blend over the piece of card stock. I used Black Soot, Chipped Sapphire, Faded Jeans and Peacock Feathers to create the night sky. I splattered some of each other colors over the panel, as well as some white paint. Then I set it aside to dry. Next I stamped out images from the Hootiful stamp set as well as the Party Palooza stamp set to create my scene. Everything was colored in with my Copic markers and die cut with the coordinating dies. I adhered everything down with some liquid adhesive, adding some cute gel pen details to the images. I stamped out the sentiment ‘hip hip hoo-ray’ from the Hootiful stamp set and trimmed it out with the smallest Strips of Ease die. That was also adhered down to the card with liquid adhesive. I had some of the stars on my desk from die cutting the Stargazer Backdrop die and decided to adhere them around the outside edge of the card for some added texture and detail. And that was it! Birthday card complete! I hope you enjoyed the card I created for today. Thanks so much for stopping by, and I’ll see you again with another card! Hi, everyone! 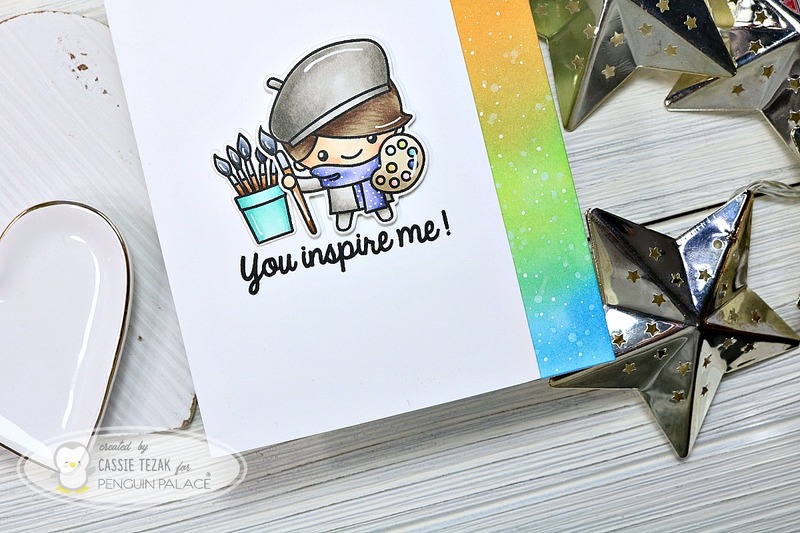 I’m back today to share my card for the Your Next Stamp preview day. The new release is so cute and I think you’ll love it. Here’s my sneak peek for you! 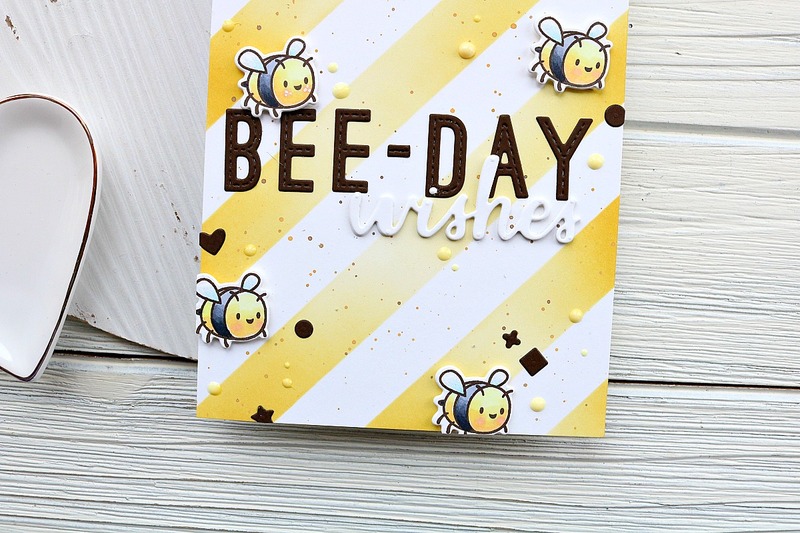 I used the new Wishing Well stamp set for this card along with the Cool Tag Four dies to create this highlighted colored portion of the card. I also used some of the new sparkly gumdrops from the April release. They’re so pretty! I hope you liked the card for today. Want to see even more awesome sneak previews from the April release? Head over to the Your Next Stamp blog and see what the rest of the design team has created. Thanks for stopping by! Hi, crafty friends! 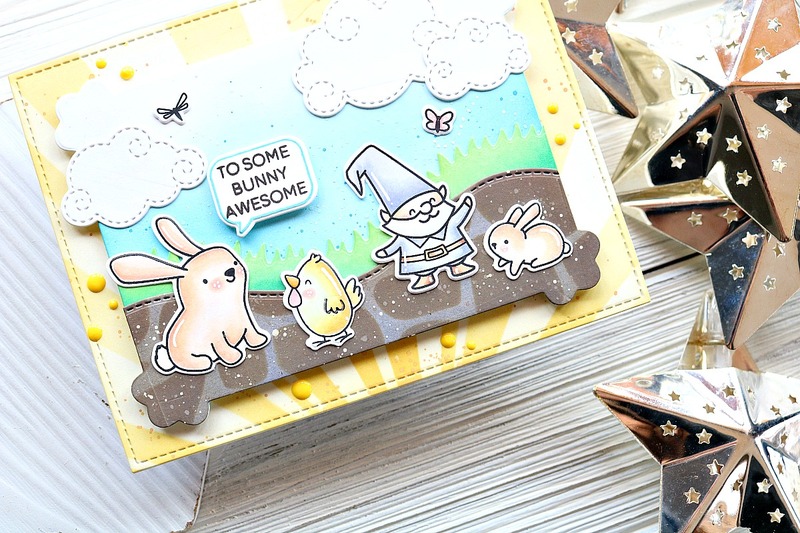 II’m back to share a cute spring card with you that I made for the HEffy Doodle blog today. Let’s get started! 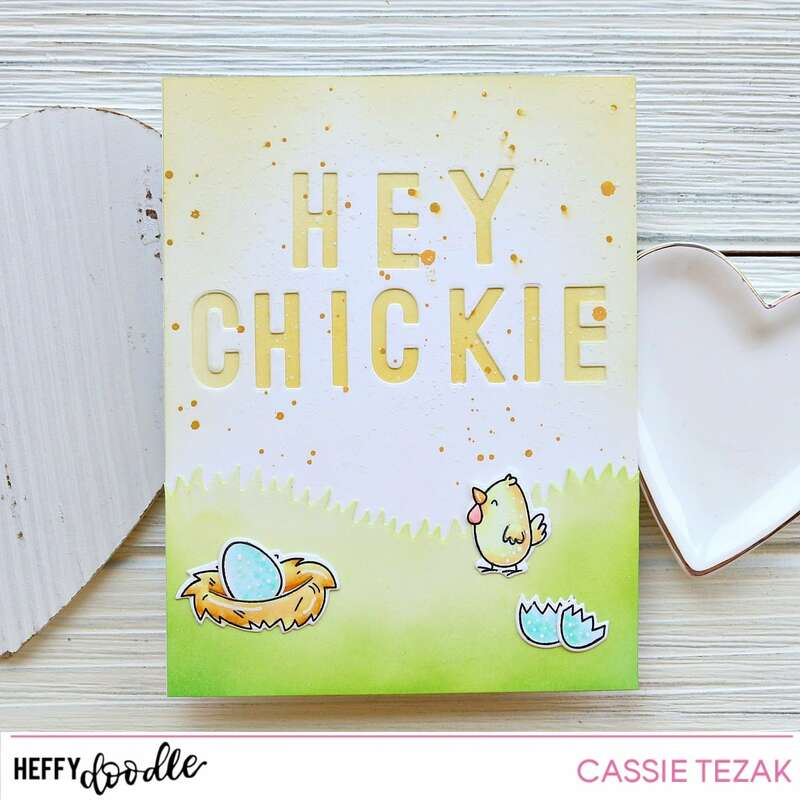 I started the card for today by die cutting my sentiment “hello chickie” with the Stitched Alphabet Dies from an A2 size card panel. This took a little maneuvering, just because I only have one of each letter and there are doubles in the sentiment, but it wasn’t too difficult to get the spacing pretty close to even! Once that was die cut I ink blended the front of a card base with Fossilized Amber ink and adhered the panel with the die cut letters over top so that the yellow showed through. I also ink blended some Fossilized Amber Distress Oxide ink over the corners of the front panel, as well as splattered from of the Distress Oxide spray over it in the same color. Next I moved on to the scene. I die cut a little hill of grass with the Grassy Lass dies from some 110 lb white card stock and ink blended Mowed Lawn and Twstited Citron over it to give it some color. Then I stamped out images from the Eggcellent News stamp set. I colored those images in with my copics, adding some white gel pen details to each of them. Then I die cut them out with coordinating dies! Finally, I adhered the die cut images to the card and it was complete! This card came together really quickly, and I think you could do a set of them in lots of springy pastel colors! It’d be so cute. Thank you so much for stopping by today! I’ll see you again soon with another card! Good morning, everyone! Happy Wednesday. I’m back today to share my final My Favorite Things project as a guest designer for their challenge blog! I’m so sad the month is over, but it’s been so much fun getting creative with their sketches. This sketch was a fun one to end on, and I had the perfect idea for it. I was inspired by the freebie that comes with orders of $60 or more from MFT and the adorable new stamp set Purrfect Friends. I die cut the tree branch from white card stock and ink blended Stained Walnut Distress Oxide ink on it. I also splattered some of the Stained Walnut ink watered down over it. I also ink blended Broken China Distress Oxide Ink over an A2 size card panel. I splattered some watered down Faded Jeans Distress Oxide over the entire panel. I attached the branch to the card panel using some foam tape once they were both dry. Next I stamped out three of the birds from the Purrfect Friends and colored them in with my Copic markers. I used the coordinating dies to cut them out and attached them to the branch with foam tape and some glue. I could resist stamping one of the cats so that it looked as though he was watching the birds from the ground. Finally, I stamped out one of the sentiments from the new Anything But Basic Encouragement stamp set with VersaMark ink and heat embossed white embossing powder. Then I ink blended some pink ink over it and trimmed it down. It was also attached to the card with some foam tape. And that was it for my card! 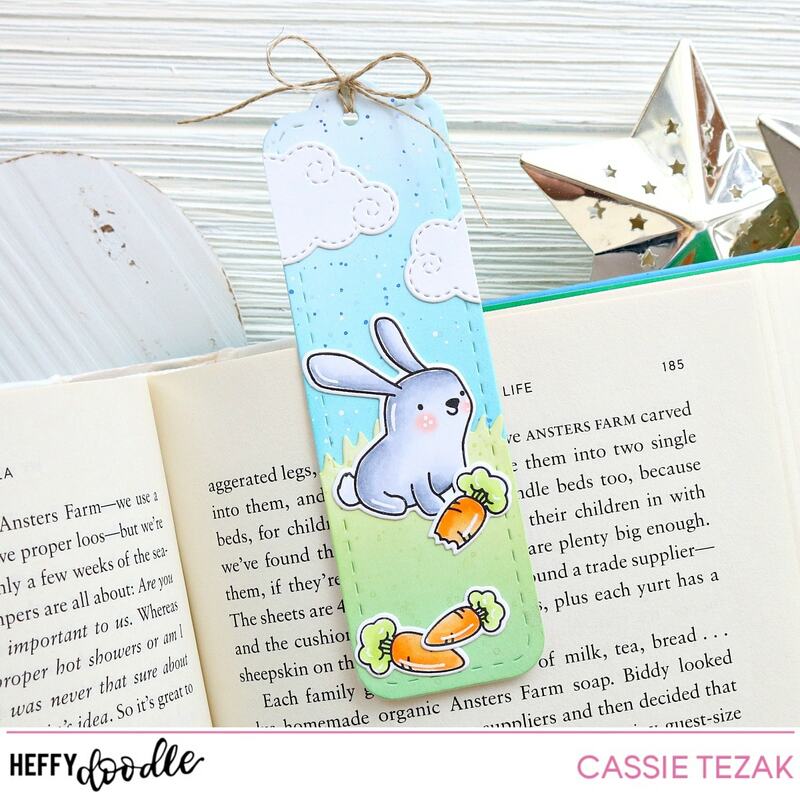 I hope you like the projects I’ve made for my month as a special guest designer for MFT stamps! I’ve had fun sharing them with you 🙂 Be sure to head over to their challenge blog and see more great inspiration! Thanks for stopping by and I’ll see you again with another card!